WRI Ross Center for Sustainable Cities in Turkey will host the 3rd Livable Cities Symposium on November 19-20, 2015 in Istanbul. The Symposium will gather national and international experts, practitioners and researchers to discuss energy and transportation policies, community engagement, and financing for sustainable cities in Turkey. As human beings, our population growth appears unstoppable. For example, between 1900 and 2000, the world’s population grew three times faster than anytime throughout history. Now, when we look at global trends, our population is still growing steadily—particularly in the developing world. Overall, we seem to be leaving rural areas for big cities, propelled by rapid population growth. This is particularly true for Turkey. 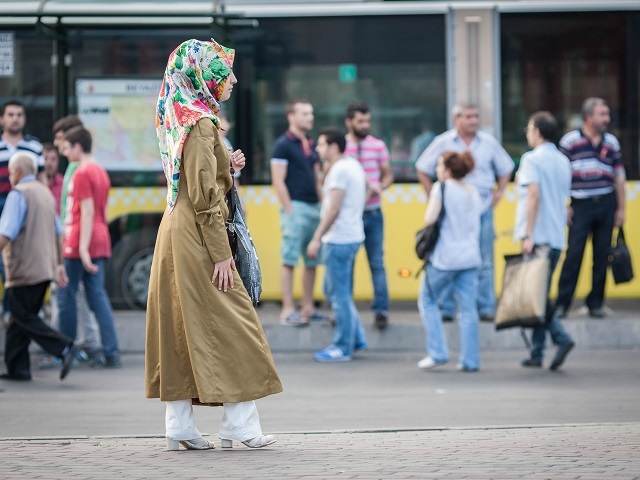 According to the World Bank’s data, approximately 73 percent of Turkey’s population now lives in cities; and in 2030, this percentage is expected to exceed up to 80 percent. As the nation’s people migrate to cities, they continue to fill roads, jobs, houses, parks, and bring their personal vehicles. A lot of this growth is good, contributing to industry, new construction, improved transportation, and increased demand for food and energy which stimulate the economy. However, while population growth helps fuel our developing country, migration to urban areas also poses new problems relating to how we manage poverty, climate change, inefficient energy production, ecosystem destruction and resource shortages. In sum, we have to find a healthy balance between growth and sustainable development that boosts the quality of life for all. As our economy grows with expansions in industry to construction, transportation and food, our cities require a lot more energy production, which is the primary cause of climate change. This is true for many regions across the globe. The International Energy Agency (IEA)’s 2014 World Energy Outlook notes that global energy demand will increase by 37 percent by 2040; demand for electricity, on the other hand, is expected to increase by 80 percent. One of the reasons why the demand for energy and electricity is increasing is the growth in cities. In Turkey, the Ministry of Energy and Natural Resources’ Action Plan shows that energy is more widely used than in many other developing countries. One avenue of change in Turkey is to increase the energy efficiency of transport, which has been one of the fastest growing consumers of energy since 1998. Through the use of new regulations and policies, we can promote public transport, establish smart bicycle networks, expand pedestrianization and use more efficient vehicles and alternative fuel technologies. Other countries, such as Brazil, are making these changes and serve as models that we can learn from. The fight against climate change should start within cities, where our populations are currently booming. Without major changes in our cities, climate change will strain water, energy and food in ways that will increasingly make our cities less livable. They key is collaboration between Turkish actors. Policy makers, civil society and especially private sector managers should concentrate on working with community stakeholders to adapt dynamic solutions to carbon emissions. Sao Paulo’s public-private partnership for its metro is one good example for us to follow. For more on how to make Turkey’s cities more livable, attend the 3rd Livable Cities Symposium by WRI Ross Center in Turkey on November 19-20, 2015 which will gather national and international experts, practitioners and researchers in Istanbul. The Symposium will discuss energy and transportation policies, community engagement, and outline ways to finance sustainable cities in Turkey. With Mobile App Rewards for Cycling and Walking, Would You Continue to Drive?